According to traditional Chinese medicine, there are three things that every human being possesses: essence, energy, and spirit. When you are in good health and shape, these three elements are usually in perfect balance and harmony. The reason why people get sick is because of an imbalance in the three elements. The Shen or the spirit is important because it’s in charge of your emotions and thought processes. When you feel sick, your body loses energy or Qi, and you become depressed and sad which distorts your spirit. The explanation of what happens to the essence or Jing is quite deep and complex and not necessary for this article. For years, the Chinese used herbal extracts to treat ailments and bring back harmony to the three elements. However, as western influence increased, the world opted for western medicine. This is what is being used today. Interestingly, there are some cultures and communities that still believe in three element concept, using traditional herbs to heal the spirit. The problem is that some people don’t know about some of the benefits of herbal medicine, that’s why they don’t pay any attention to it. However, it’s now only a matter of time before the current population realizes that natural herbs have the ability to cure the body and spirit. Below is a compilation of what natural herbs can do for you. Every day as you go through your regular daily routine, you are exposed to a number of pathogens present in the natural environment. This could easily lead you to get a bacterial infection that can be quite painful without any medication. Fortunately, natural herbs are formulated with natural healing properties that prevent and fight any presence of harmful bacteria in the body. A good example is to use turmeric, thyme, and clove to counter stomach bacterial infections. Continued use can get rid of the pain and get your tummy back to the way it was without any laboratory medicine. Many times you may get an infection or just an injury that may lead to inflammation. Once for a change, you need to consider using natural herbs for their anti-inflammatory capability. Some of these powerful herbs include licorice, cayenne, turmeric, and Boswellia. If you happen to be the type of person that fancy’s a heavy workout, you must have experienced some muscle spasms at one point in time. I have personally experienced one, and I have to say that it’s weird and painful at the same time. Thanks to natural herbs, you now have an escape route from such an occurrence. 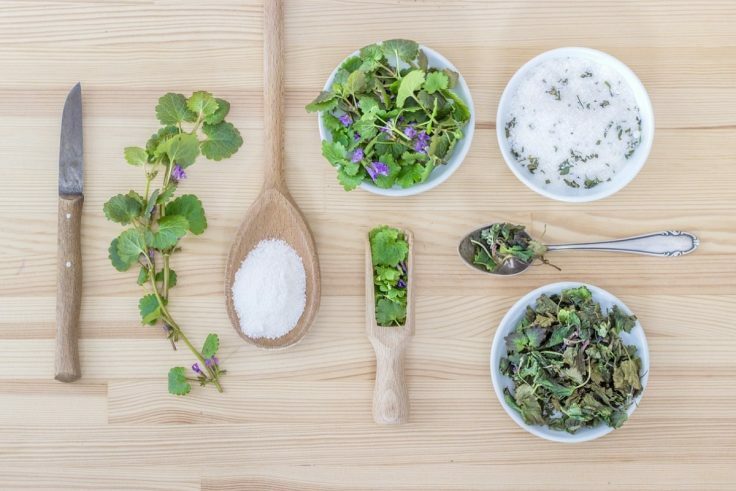 Herbs such as peppermint, valerian, cramp bark, and kava reduce muscle spasms in a good way. Many times our lives are overwhelmed with too much workload which means that we get worn out with time. This can even get worse if you find yourself drinking alcohol since the entire spirit/liquid has to be broken down by the liver. Herbs such as milk thistle, artichoke, dandelion, and turmeric have protective properties that help preserve your liver cells and facilitate normal liver functioning. Being an outdoor and social person means that you get to move around and try different types of foods. This could easily lead you to develop stomach gas that can be very uncomfortable and embarrassing. However, some herbal plants have carminative properties which mean that they can reduce and prevent gas. Some of these include chamomile, peppermint, ginger, and fennel. Though you possibly may not have heard of it, Ashwagandha is a natural adaptogen. This means that it’s a good solution to help deal with your stress and boost your immune system. This isn’t all it has to offer as it can also help reduce anxiety, cholesterol levels, and improve libido. Spiritual and herbal medicine is a reliable way to actually deal with the illnesses and health issues that we face from time to time. In any case, it’s better to trust nature to help with your healing process instead of drugs that are manufactured with chemicals that you have no idea of where they come from. However, before you use any of the herbs mentioned in this article, talk to professional to see which ones are most appropriate for you.